Unstreaked grey-brown with a broad white streak where secondaries meet the tertials. 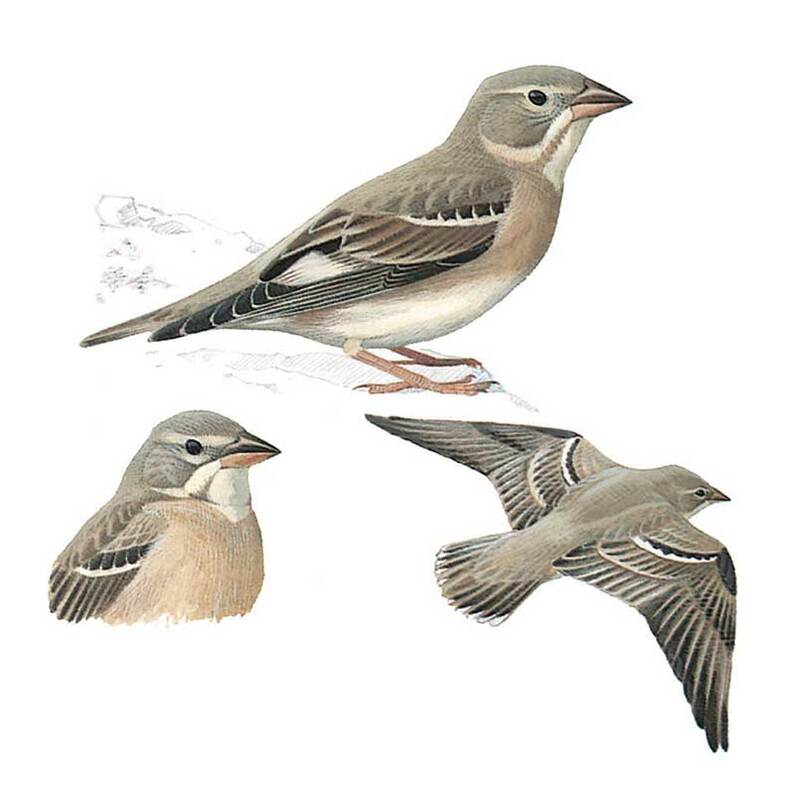 It has a long primary projection, short dark tail with a white tip( seen in flight), strong pale bill, translucent looking brownish orange legs, sandy white underparts, 2 whitish wing-bars and a prominent dark eye in a pale face. In flight the long wings give a lark-like appearance. Often gregarious outside the breeding season.